It seems as if everywhere we turn nowadays we’re inundated with a time and date version of “the grass is always greener.” From fashion to music, there’s an undeniable allure to the good old days and corresponding trends of yesteryear. While we can all dig up a certain fondness for the campiness of ‘80’s hair metal bands or the linear style of 1970’s architecture, there’s also a universal understanding that certain fads are best left to the history books (we’re looking at you, potato salad pie). Much like your quirky Aunt Agnes’ never-ending love for sequined mini-skirts, recent advancements in technology and engineering have made old standards seem downright puzzling when it comes to their continued use. Newer may not always equal better, but sometimes the facts are overwhelming in their support for leaving old methods and products behind. When it comes to modern dental practices, this concept of innovation is no more clearly illustrated than in the breakthrough technology of Invisalign. Offering an alternative to traditional straight-line metal and wire treatments, Invisalign invisible braces bring a range of improvements that help with both performance and treatment compliance. If you still need convincing or find yourself solidly in the “if it ain’t broke, then why fix it” traditionalist camp, here we explore the difference between straight-line and Invisalign orthodontic treatments and the ways in which they can change your perception of what it takes to attain that perfect smile. One of the common gripes with traditional straight-line orthodontics treatments has to do with what you have to give up in order to gain that perfectly aligned smile. Feel like taking in a movie with a side of popcorn, that’ll be a big nope with metal braces. Have a craving for a fat, juicy, steak? Probably not going to happen unless you want to spend hours cleaning up your dental accessories after the fact. And don’t even get us started on that occasional sweet, chewy, caramel treat. With Invisalign, your quality of life is improved via the ability to easily remove your aligners while eating or during other daily activities. Those using straight-line braces find themselves making a list of foods to avoid, but with Invisalign you can live your life simply and inconvenience-free thanks to the latest and greatest in invisible orthodontics. If your friends or family members have ever worn traditional braces, you’ve probably heard firsthand about the toils of regular brushing and flossing with a mouth full of metal and wires. Dentists take drastic measures ranging from informative pamphlets to involved tutorials to simply teach patients how to maintain good oral health while undergoing straight-line treatment. From stains to plaque buildup, navigating around braces can end up seeming like a job in and of itself. The key difference with invisible aligners is the ability to remove them in order to perform routine tooth maintenance. Simply remove the Invisalign tray and use your normal toothbrush and dental accessories. The only downside will be when you have to put on your thinking cap to come up with another excuse to tell your dentist about why you aren’t maintaining your normal twice-daily brushing and flossing schedule. Next up on the list of drawbacks to older, dated, orthodontic technology, is the discomfort and downright pain caused by straight-line braces. No matter how well-fitted, it’s inevitable that metal rubbing along your mouth and gums is going to cause cuts and discomfort. Learning to speak normally with braces is a challenge and let’s not talk about the oh-so-popular investment in dental wax you’ll be making. With Invisalign, however, you can kiss the days of canker sores and overall mouth and gum discomfort goodbye. Your specially trained dentist, such as those that practice at Tomasik Family Dental, will ensure that your custom-fitted trays are shaped to accommodate your individual bite. Each liner is trimmed to accommodate individual patient’s gumlines eliminating rubbing, chafing and overall soreness. It turns out that when it comes to Invisalign, no pain does indeed equal plenty of toothy gains. Despite our best efforts to deny the fact, each of us has had to live through those dreaded teenage years. From overnight breakouts that would make a pepperoni pizza jealous to awkward growth spurts to raging hormones, there’s plenty of hurdles to navigate just trying to grow up. Adding the unsightliness and inevitable teasing and self-consciousness that comes from extra metal mouth baggage can send even the most confident of kids into hysterics. 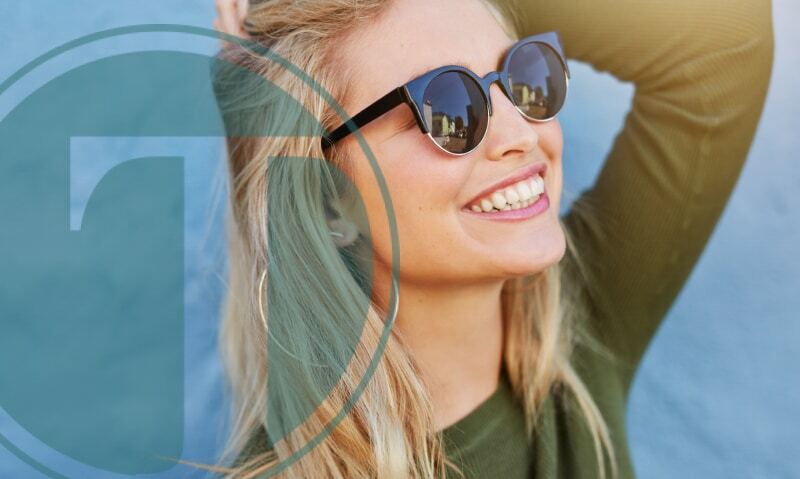 The good news is that whether you’re a current young adult or a few years older and still recovering from the trauma, Invisalign clear aligners are an attractive, less noticeable alternative to earning the tired “metal mouth” badge. Invisible liners can also be temporarily removed for those school pictures or special occasions, meaning there will be little to no pictorial evidence for your parents to bust out to embarrass you at your rehearsal dinner down the line. We’ve made our case for the benefits of innovation when it comes to the use of Invisalign liners over older straight-line braces, but nothing replaces a real-time consultation from an experienced dental professional. While Invisalign is the preferred treatment to help craft that perfect smile, expert doctors are needed to help develop your treatment plan and adjust your liners as your smile improves. We may not be able to help rid your grandmother of her love of floral print velour sofas, the dentists and staff at Tomasik Family Dental have treated plenty of patients utilizing the latest and greatest of orthodontic technology. Whether you’ve been considering Invisalign, or would simply like to talk through the options in person, our staff is ready to delve into the fine details of treating misaligned teeth, correcting gaps, and straightening your smile. Schedule an appointment today to find out the difference your knowledgeable, caring, hometown dentist can make to your overall health and happiness.